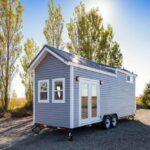 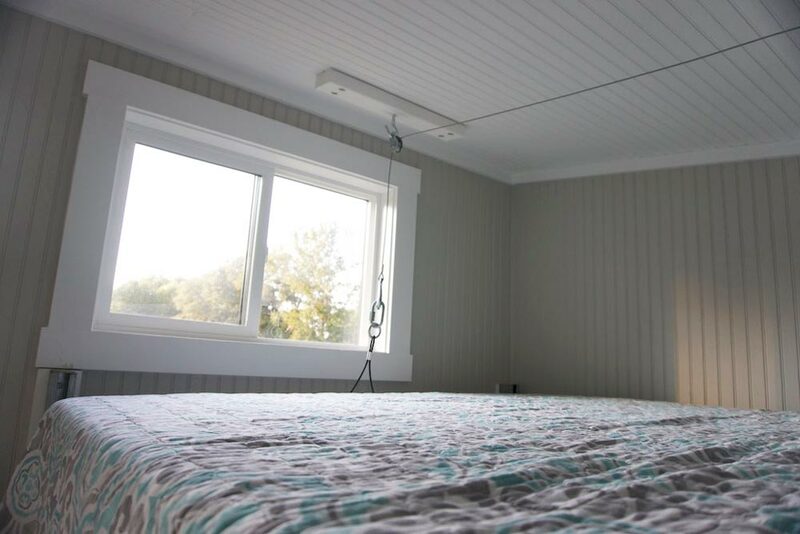 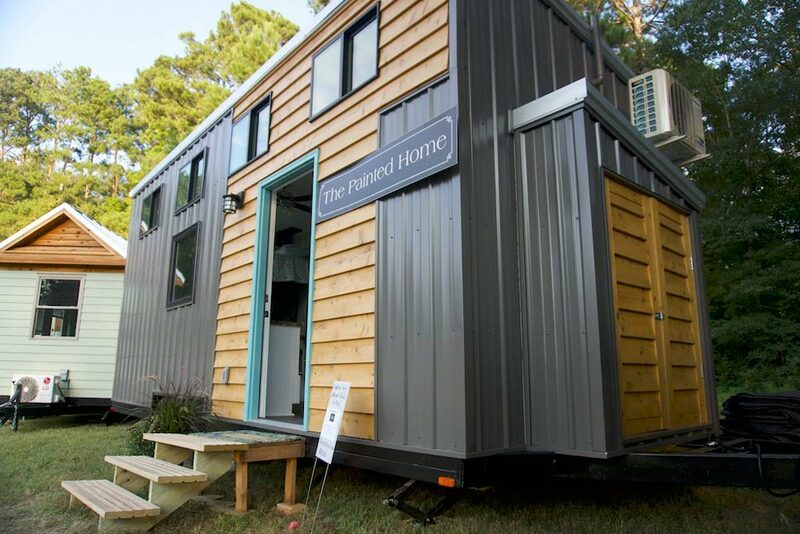 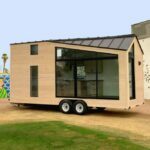 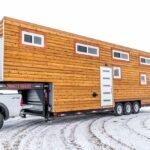 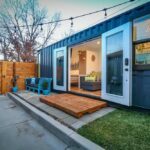 For those looking to downsize to a tiny house in retirement, The Painted Home Co built the Baby Boomer. 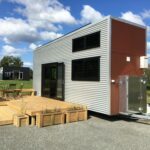 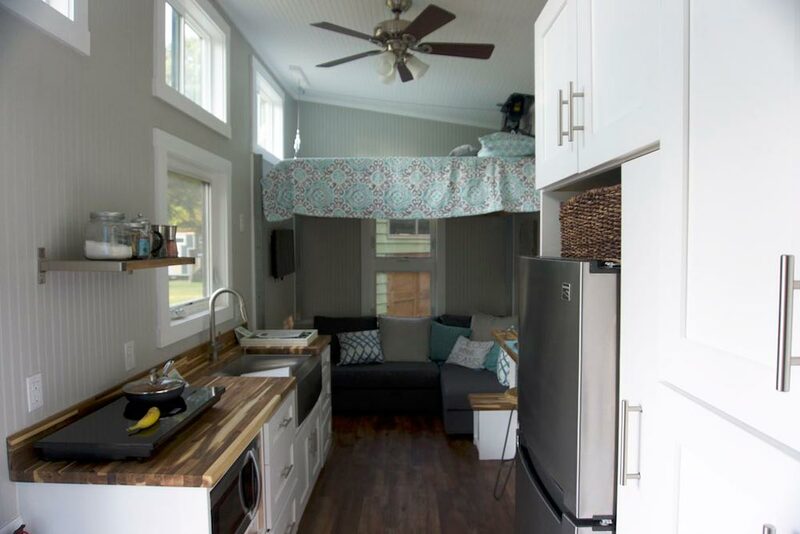 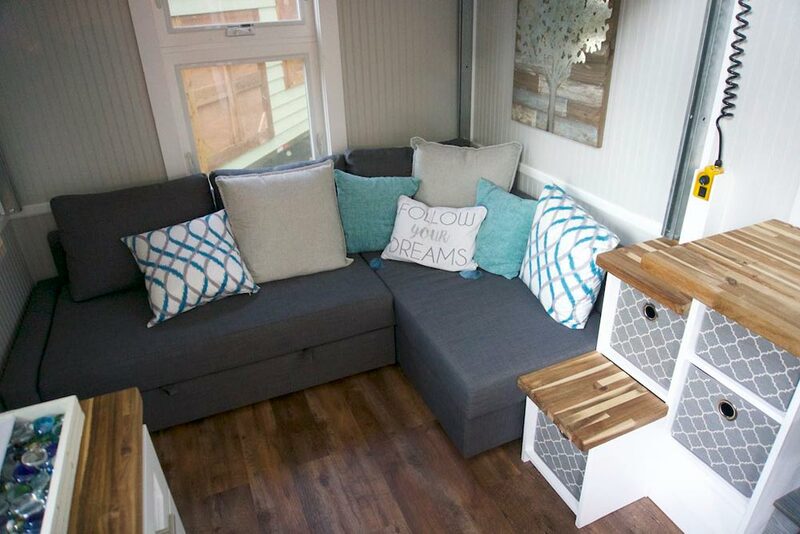 This tiny house has an elevator bed that raises and lowers over the living room couch. 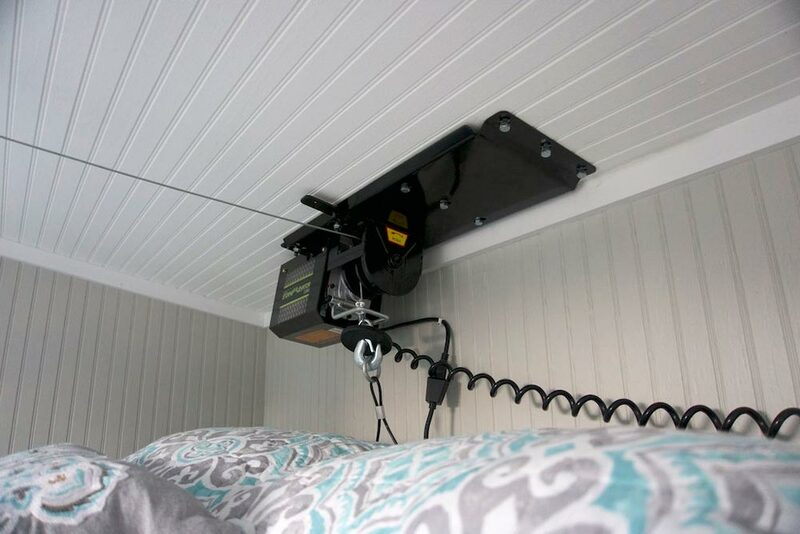 The TV is positioned so you can watch TV on the couch, then lower the bed and still watch TV. 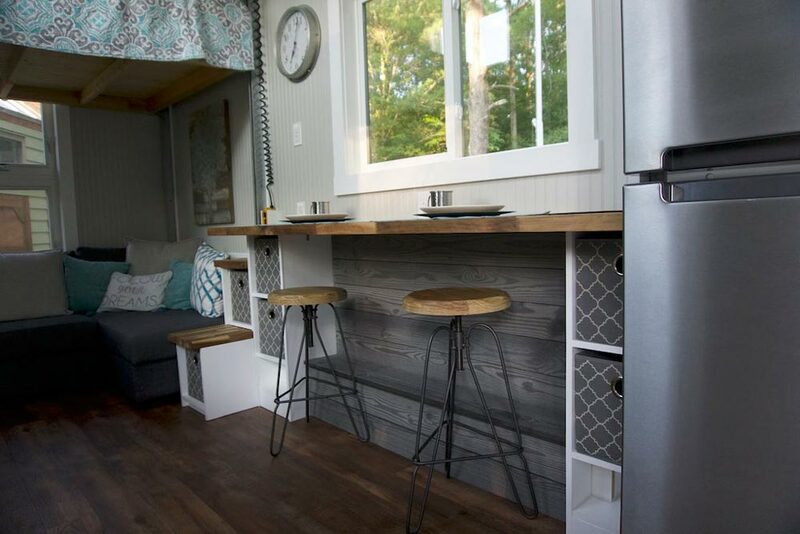 As you first walk into the tiny house you’ll find a large cabinet area. 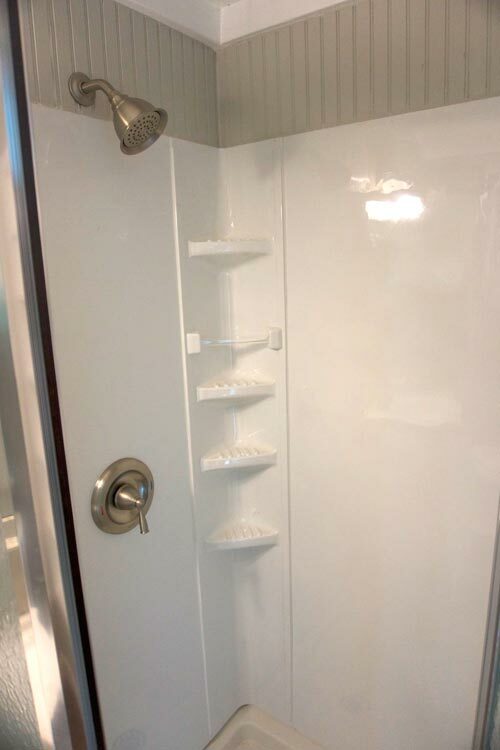 In one cabinet is a washer/dryer combo and the cabinet above is the clothes closet. 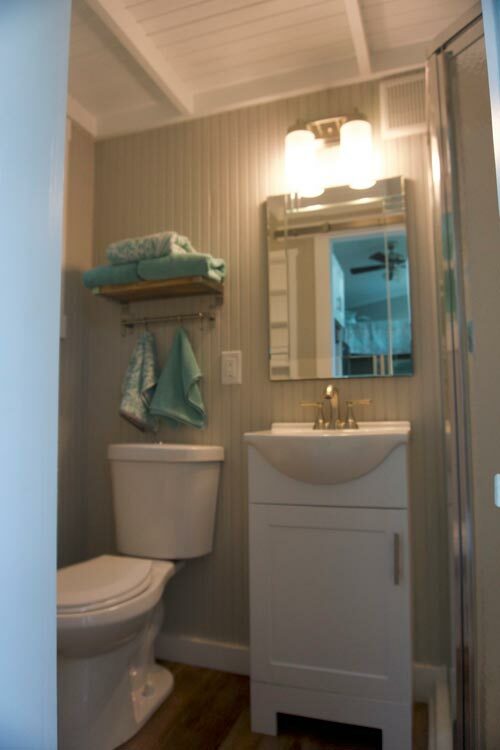 A pull-out pantry with space for broom and cleaning supplies is located next to the cabinets. 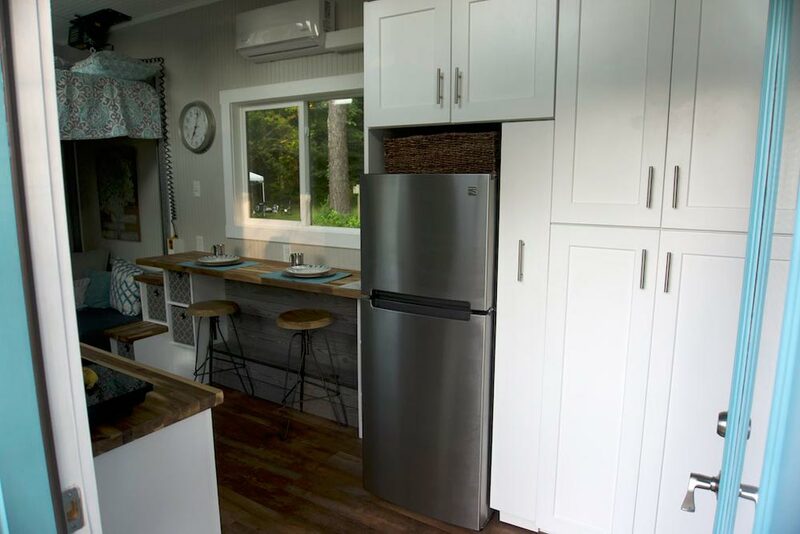 The kitchen features a stainless steel apron sink, two burner induction plate, apartment size refrigerator, and convection microwave. 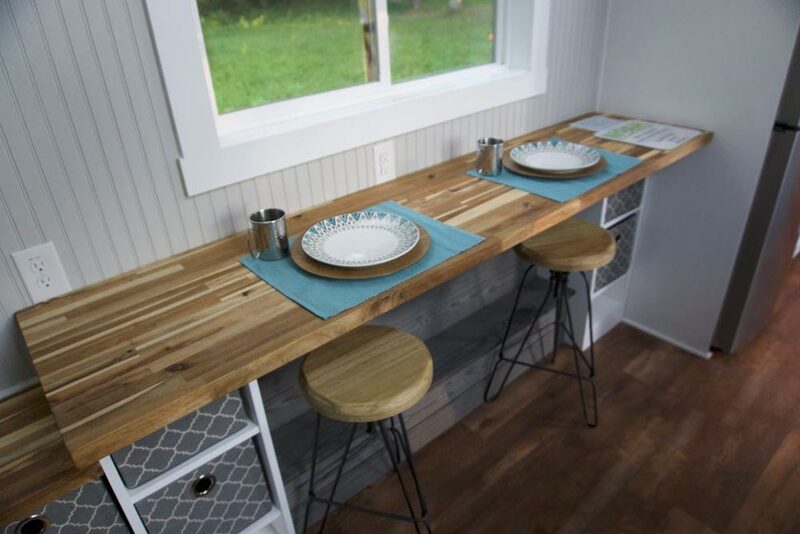 A breakfast bar with stools sits in front of a large window. 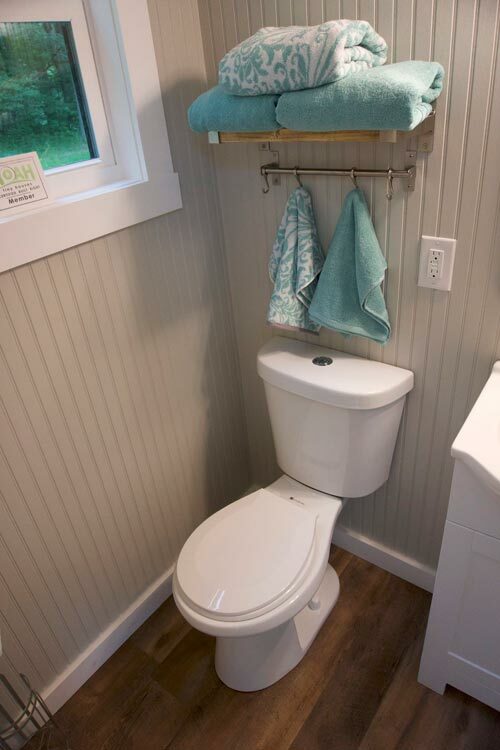 The bathroom includes a corner shower, sliding barn door with swing-out hooks for towels, vanity, flush toilet, and storage shelves. 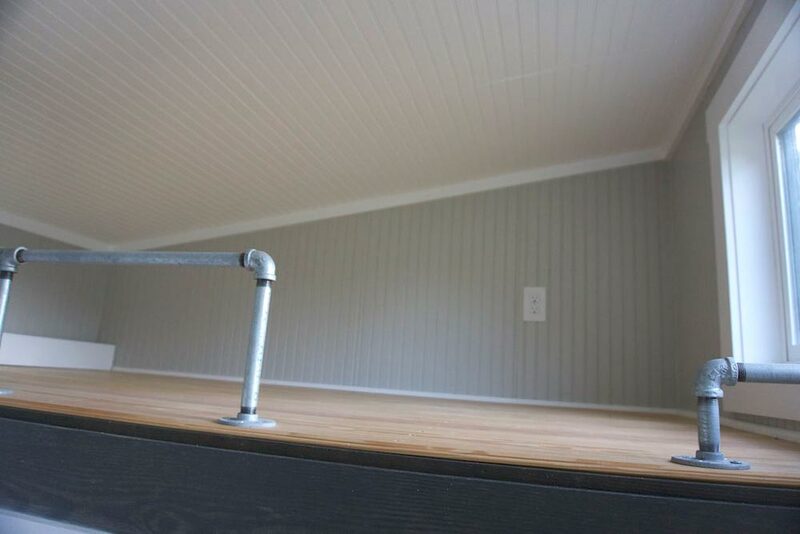 Above the bathroom is a storage/guest loft with ladder access. 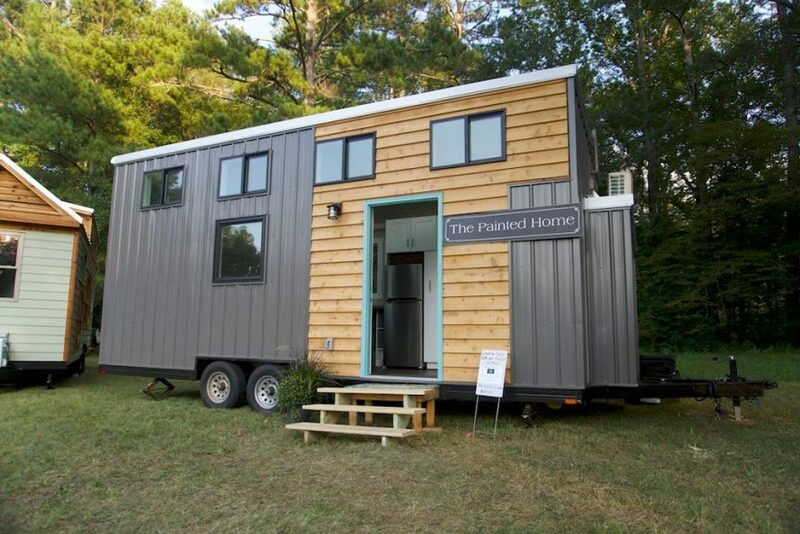 The Painted Home Co is a NOAH certified builder located in Hendersonville, North Carolina.